Tired of the sun glaring into your cozy living room or glaring on to your TV? You have just found the solution with our roller blinds. Blockout and sunscreen roller blinds not only provide maximum light control, but also serve as ideal accessories that significantly upgrade the appearance of your indoors. They offer an easy way to lend a refined and elegant look to any space, while at the same time provide functional benefits. The modern-day range of versatile roller blinds is much more than just a window covering to prevent heat and light. They are in fact sleek and stylish window treatments available in a variety of options. Discreet when open, they offer an easy means to control light when closed. Besides, with Somfy motorized blinds, all your screen roller blinds can be synced to one remote control to easily position your blinds with a single click. At Blind Concepts we offer perfect, custom-built screen roller blinds that precisely cater to your requirements. Given the stunning range of choices available, the task of choosing the right blind for your space can be a confusing one. Besides, our professionals will also help you to choose the right roller blinds for your space. Available in a wide array of shades, designs, and make, blockout and sunscreen blinds are designed to serve specific purpose. Depending on the functional and aesthetic requirements of your space you can choose a fabric to either impart a luxurious appeal or achieve a simple and minimalistic look. Here are some of the major features of blockout and sunscreen blinds which will enable you to evaluate these blinds and choose the one that best serves your purpose. Sunscreen roller blinds are available in an extensive range of contemporary shades and designs and you can choose a colour or design that perfectly complements the existing theme and design elements of your indoors. You can also go for classic or contemporary styles, based on your preferences. At Blind Concepts, we also provide you with the privilege of adding Somfy motors. Adding this further simplifies the process of operating your roller blinds, making it work at the click of a button. Blockout Roller Blinds – Blockout roller blinds are exclusively designed to provide privacy and insulation at night. They are designed to completely block the light during the day and create a cozy, relaxed space for a comfortable sleep. This feature of blockout blinds make it perfect to be used in bedrooms to get the darkening effect, which they provide. Blockout roller blinds can also conserve heat at night and maintain controlled, cooler room temperatures during summers due to its phenomenal insulating properties. Roller blinds are easy to install and operate along with the added benefit of motorized options. Somfy motors are the motorized options, which can be easily installed in all types of blinds for added convenience. They enable you to control the positioning of your blind with just one click. Both sunscreen and blockout blinds provide effective screening solutions and choosing from the two entirely depends upon your requirements. Careful consideration of the advantages and limitations of both the blinds can help you to make the right choice. Sunscreen or Blockout – What Should You Choose? However, both these blinds are designed to offer maximum protection to your home and its contents. If you are still confused, just reach out to our team at Blind Concepts and we will be eager to help you select an appropriate blind. For added benefit, you can automate your window covering with our Somfy motorized blinds. 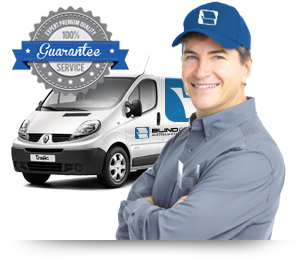 At Blind Concepts, we specialize in carrying out the installation and service of Somfy motors for all types of window coverings. We are an authorized Somfy service provider and can help you to efficiently motorize your blinds. Besides, assuring utmost quality and durability of our blinds, we also have an amazing collection of indoor and outdoor curtains and blinds. Our huge range of curtains and blinds are designed to suit all styles, colours and lifestyles. Our impressive range of outdoor blinds makes a great addition to any space and can provide a cool shade in summer and protect your home from the winter chill. Just get in touch with us now by calling us on 03 9720 1778 to discover how we can assist you. Our representative will be glad to discuss your next project and offer a free quote.